Choose the Best Software for Playing Live Casino Games Today! If you’re all set and ready to play then there’s just one more thing we’d like to talk to you about before you make your choice and that’s the live online casino software providers. It may seem rather strange to you but it’s not the casinos themselves that actually provide the games it’s separate companies that lease their games to the many casinos you’ll find online. While this may seem a little bizarre it’s also great news for the players as it’s meant a couple of things. The first thing is it means there’s actually a dedicated team of people whose sole focus is to do nothing more than understand what players are looking for and make excellent games. If it was the casino themselves making these games then fun might not be their top priority and the quality may drop as a result. The second factor is that all these software developing companies will be competing with each other to get on the biggest and best live casinos in town and that only means that each developers’ games will be getting better and better to outdo each other. This also means you’ll have a bunch more variety to choose from too which obviously doesn’t hurt either! With that said though it’s not like the live online casino industry has been around forever and so many of the companies providing games haven’t been around for a great deal of time and so their live casinos aren’t exactly the finished article. That’s not true for all of them however and so to make things easier for you we’re going to give you a rundown of who we think are the three best providers of live online casino games on the market right now and why. That said though as time goes on this list may change but as for now, we’re sure you can’t get any better! The first one on our list today then is NetEnt. If you’ve played at online or mobile casinos before then we’re sure you already know who NetEnt are, as just over one in three online or mobile casinos stock their games with this number rising by the game. Not only do they have their games stocked more than any other provider in the industry right now but their games will normally be the top featured games for these sites as well. When it comes to the live online casino games offered up by NetEnt we’d have to say they’re perfect for new players to the scene in particular. This is because NetEnt has built their user interface with new players in mind looking to create a site and games that are both fun and simple to use. Everything created by NetEnt is intuitive to use but not only that, navigating between their games is a piece of cake too. One of the main highlights NetEnt has to offer its players is it covers 25 different currencies and languages so players from all walks of life will be able to come together and enjoy these fantastic games. The next developer on our list is Microgaming whose live casinos are a fantastic choice for players looking to do a little bit of exploring while still keeping up that high standard of gaming. Microgaming only offers their games in one language which shouldn’t be a problem for anyone reading this and in return, they’re able to offer a lot more of the lesser played games on their sites. We like to go to Microgaming in particular for their double up Blackjack games which are a variation of the popular Blackjack game where you can double your bet on any 2 card hand without taking another card. This is only one of many new games you’ll have access to when you choose to play at a Microgaming live casino with games such as Baccarat and Sic Bo also making an appearance! In the end, we’d say if there’s a particular game you’re looking to play start with Microgaming as they’re the one most likely to have it! The final entry on our list today is certainly not our least and that’s Playtech whose motto seems to be quality over quantity. Playtech has a couple of the lesser played games available to players however they do mainly stick to the main ones like Blackjack and Roulette and focus on making those games as entertaining as possible. The way they’ve managed to do this is by offering players exclusive VIP tables which helps to take players gaming experience to the next level. These VIP tables come with a little more privacy than the other tables with a lower player to dealer ratio and a not allowing randoms to view. If you’re looking for an engaging and personal experience this is where you’ll most likely find it however it does have the drawback that you need to play slightly higher stakes than their usual games. If you don’t mind this though then this is the perfect place to play! When it comes to these three we’d say they’re certainly the best but picking a winner between them all isn’t something we’re able to do. Instead, we actually choose to play at all three of them depending what mood we’re in and what game we’re looking to play. If this is your first time at a live casino then we’d recommend you start with NetEnt as they have easy to use software which will make the switch to live casinos that little bit easier. 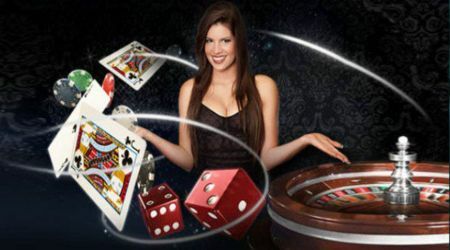 If your reason for playing at a live online casino is to explore some of the lesser seen games down your local casino then it’s Microgaming’s direction you’ll want to head for that, and finally if you want to head straight for the best and you don’t mind paying for it then it’s this Irish live online casino you’ll want to try out!